The story began very slowly and was a bit tedious at first. I almost stopped listening to it several times. 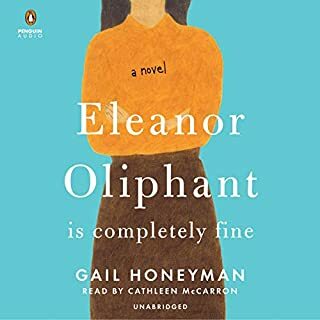 Once you get into the personalities of Eleanor and Raymond you became more and more attached until you just don’t want the story to end. Really very interesting once you got past the beginning few chapters. A lovely story about good finding good. Ending was lovely as well. We could not get past the beginning of the book. I was very disappointed since I loved the reader. I was looking forward to the story but it was too utterly gruesome in the beginning. I will never know if it got better. 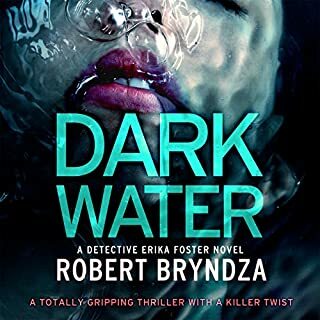 When a battered suitcase containing the dismembered body of a young man washes up on the shore of the river Thames, Detective Erika Foster is shocked. She's worked on some terrifying cases but never seen anything like this before. As Erika and her team set to work, she makes the link with another victim - the body of a young woman dumped in an identical suitcase two weeks ago. Erika quickly realizes she's on the trail of a serial killer who's already made their next move. Too violent. Great writer bout this one is too violent. We have listened to all five Erika Foster books. Each one progressively more violent. We just love the characters and really enjoyed the first three. The last two have finished us off. I doubt we will listen to his next. He is a great writer with plenty of twists and turns in his stories. Sorry we have to end our experiences with Erika Foster. The brutal murders, cruel heartless criminals and the abduction of twins in Cold Blood were just too much to take. A mysterious stranger known as 'The Wolf' leaves an infant with the sisters of Santo Spirito. A tiny silver key hidden in her wrappings is the only clue to the child's identity and so begins a story as intriguing and beautiful as the city of Florence itself. 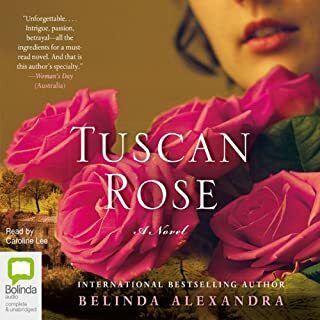 Belinda Alexandra's new novel, Tuscan Rose, is set in Italy during the time of Mussolini. This richly woven tale of passion, love, longing, witchcraft and magic promises to be everything her readers love and more. We just loved every aspect of this book. Rosa. Antonio and Luciano became a part of our lives as we listened to their story driving along the LA freeways. We couldn't wait to get back in the car and hear what happened next. It was very well. Researched. We love Florence and learned more about Mussolini and his very destructive influence in Italy through their eyes as members of the resistance. The narrator did an excellent job keeping us interested. A great read. An even greater listen. Perfect title especially for the audio format! The story was well developed and quite enjoyable. There were many interesting twists and turns and a great ending. It did get a bit confusing at times going back and forth between present and past and the story vs the story one of the characters was recounting. You have to pay attention. Parallels between the grandmother and granddaughter and the strong bond between them added a lovely layer to the story. There is a lot of graphic detail about being a victim of the holocaust. Sometimes it was a bit difficult to listen to as I visualized the horrors endured. I finished feeling more aware of and sensitive to the way people deal with difficult situations in life. 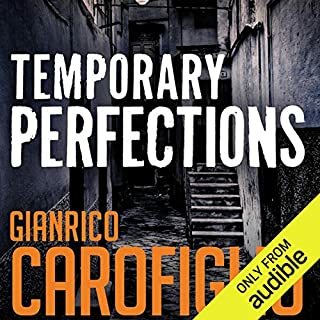 When Detective Erika Foster receives a tip-off that key evidence for a major narcotics case was stashed in a disused quarry on the outskirts of London, she orders for it to be searched. From the thick sludge the drugs are recovered, but so is the skeleton of a young child. The remains are quickly identified as seven-year-old Jessica Collins. The missing girl who made headline news 26 years ago. 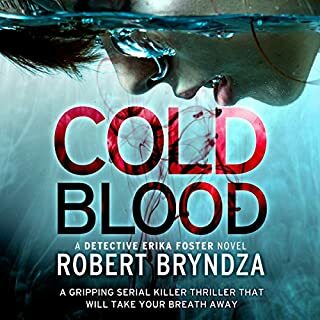 Another great crime mystery by Bryndza. We love Erika Foster and her team. The story is well written and narrator is entertaining. We need him to write faster. Lanky, her sister and kids is a lovely addition. Quite colorful. Life in Henryetta, Arkansas is turned upside down with the arrival of a televangelist, but it's the death of a little old lady on Rose's street that catches her attention. The Henryetta police deem her death natural causes, but Rose suspects foul play and so does an unlikely supporter - the president of the Busy Body Club, her eighty-two year old neighbor Mildred. 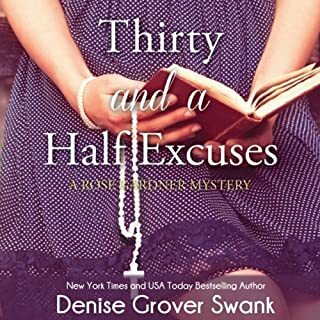 But Rose is in the middle of opening her nursery with her sister Violet, who's separated from her husband Mike, as well as stalling her boyfriend Joe's family, rich socialites who are determined to meet her. Questionable pronunciations by the narrator. This is a nice little story to listen to when driving. You don't have to pay full attention to it. It's an OK story was somewhat interesting characters. It is a bit sappy. 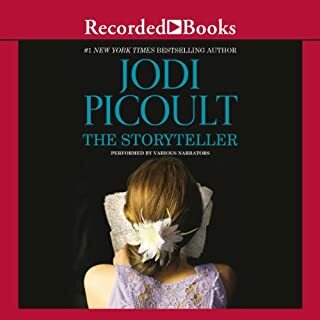 We may go on to the next one because of the ease of listening and the delightful narrator with a country drawl that adds charm to the storyline. For Rose Gardner, working at the DMV on a Friday afternoon is bad even before she sees a vision of herself dead. She's had plenty of visions, usually boring ones like someone's toilet's overflowed, but she's never seen one of herself before. 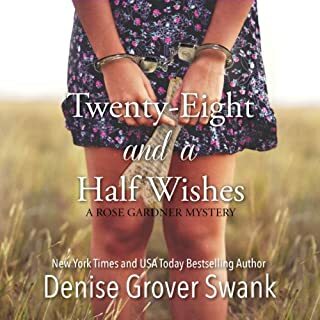 When her overbearing momma winds up murdered on her sofa instead, two things are certain: There isn't enough hydrogen peroxide in the state of Arkansas to get that stain out, and Rose is the prime suspect. An easy listen. Fun but very unrealistic. Entertaining story but a bit lame in parts. If you want reality this is not it. It if you want a fun listen while driving that you don't need to pay full attention to this is good. The characters are funny but unbelievable most of the time. The main character walks into situations no one in their right mind would ever do and comes out okay every time We are debating whether we do on with the series. Sean Barrett is a great reader bringing compassion to the characters that the author, Guerrieri creates. 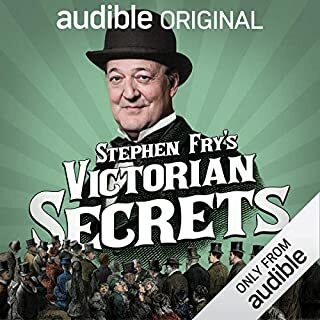 This story has a weaker storyline than the others but the unrelated tales interwoven within deepen the interest of the listener. We enjoyed this story and hope the author beings us another soon. England, 1959: Laurel Nicolson is 16 years old, dreaming alone in her childhood tree house during a family celebration at their home, Green Acres Farm. She spies a stranger coming up the long road to the farm and then observes her mother, Dorothy, speaking to him. And then she witnesses a crime. Kate Morton (and Caroline Lee) does it again! 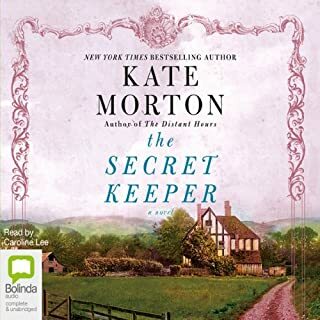 Where does The Secret Keeper rank among all the audiobooks you’ve listened to so far? I just loved this book. I thought it was going to be a quick read but it was not. It kept getting more and more interesting. I loved the way the author went back and forth thorough time to unravel the story. What was one of the most memorable moments of The Secret Keeper? I enjoyed watching Vivian develop. There were some great scenes around her life. SO many good scenes. The first meeting of the young lovers, the bedside visits with her failing mom, the gentle scenes of the interactions between the various characters were all good. I did not want the story to end. If you could rename The Secret Keeper, what would you call it? The brother's character was a bit weak but all other characters were strong. It was bit long but I loved each new twist and the surprise ending.